A lot of cutlery isn’t dishwasher safe, especially anything with a color coating. We have looked at cutlery cleaners before but this one is more stand alone. 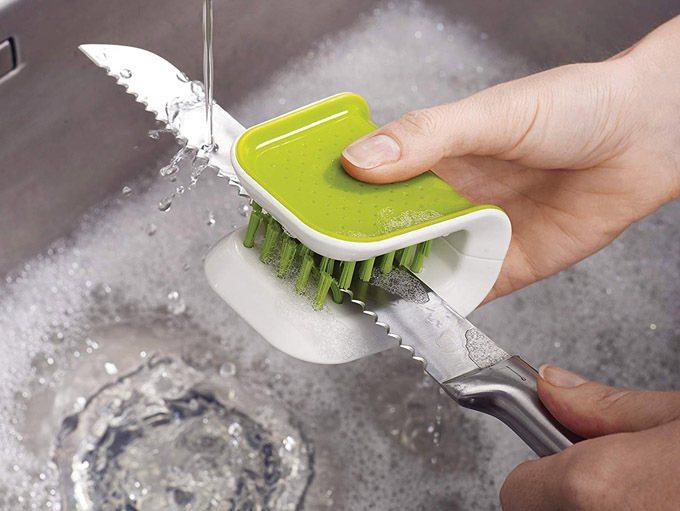 This is the Joseph Joseph BladeBrush Knife and Cutlery Cleaner Brush. Goodness that’s a long name for a little kitchen flatware gadget. It has bristles on both sides and a non-slip grip. Very handy for keeping on top of those dirty knives, forks and spoons in the sink. And the brush itself is dishwasher safe! Ironic? Ummm….it’s a boomerang spoon? This flatware is pretty flat. It’s a a fork, knife, spoon and pot scraper in one easy to use packing tool. Made of FDA approved, BPA free, dishwasher safe and stain-resistant plastic. 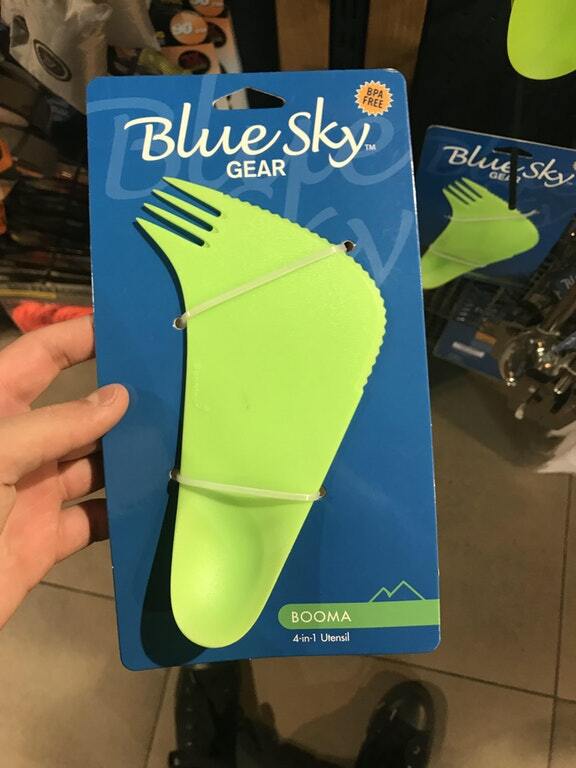 This camping cutlery would be handy in the kitchen as well. But be warned it might melt if you boil it or too hot of a dishwasher.